Gísli Matthías Auðunsson. Chef & entrepreneur, born in the tiny island of Vestmannaeyjar in 1989. Gísli Matt graduated from culinary school in Iceland with top grade in 2011 after four years of working at various restaurants including DILL in Reykjavík. Starting his own restaurant along with his family, SLIPPURINN, a modern Icelandic eatery in Vestmannaeyjar in his hometown in 2012. With Slippurinn only open during summer, Gísli Matt spent his winters staging at numerous restaurants internationally. 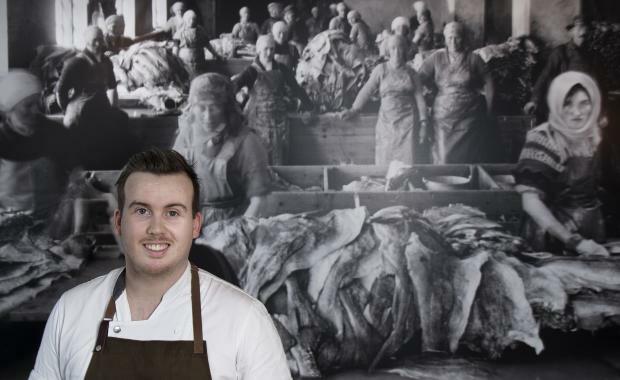 In january 2015 Gísli Matt opened restaurant MATUR OG DRYKKUR in Reykjavík. That restaurant is knowned for original and fun take of traditional Icelandic cuisine. Gísli Matt is also a member on Iceland's culinary team for the season 2015-2016. He is also a proud board member of Slow Food Reykjavík, and was nominated by JCI for TOYP - The outstanding young person award in Iceland 2015. He has won numerous of awards about promoting Iceland and Icelandic cuisine.